The company was set up on September 16, in the year 1908, in Michigan. Charles Stewart was the co-founder of the company. General Motors was declared as the world's leading company in terms of auto sales from 1931 to 2007, the longest period through which any auto making company has been able to achieve record sales in history. After this, the company saw a certain level of downward movement, but it rose again in the year 2011 and emerged as the largest among all automakers, in terms of sales of vehicles. Having it's headquarter in Detroit, the company provides employment to more than 2 million people in more than thirty one countries, where it has its production units. There are currently 11 consumer reviews about General Motors available. Share your review. I will be writing my comments about my Buick experience, directly to corporate headquarters, because writing to GM's "Customer Assistance" department, (it should be re-named the Sales Prevention Department"), is about as productive as talking to one's own armpit! I have never encountered such dense, ignorant people, who have either no ability or intention whatsoever, of actually assisting customers! I will be writing to the appropriate corporate officers directly, as talking to the so called "Customer Assistance" department, is about as productive as talking to one's own armpit! (It should be re-named, The Sales Prevention Department") I have never encountered such a group of dense, ignorant people, who are either incapable or just unwilling to resolve a problem. The simply try to "make it go away", by offering a discount coupon on some future service, as though I would ever visit a G.M. dealer again! I have owned no fewer than 14 G.M. cars, including 7 Buicks, but this time they blew it! Unfortunately, I had expected G.M. to show some interest in resolving my problem, but all of their Customer Service people have probably been transferred to China! i have a 1984 gmc truck and I would like to say that if gmc would like more customers ? then they should have better quality products,parts and service, I have had to rebuild my carb 2 times in the past 5 months and i've had to replace the m/c Solenoid seal 3 times in the past 2 months and now i have to replace the m/c solenoid it self, why is it that this part is more then the computer? the seal i can only get in a rebuild kit for no less then $20.00 up to $48.00 depends on where i buy it, and the solenoid is $153.99, i have to buy it aftermarket because even the dealer dont carry the seal OR the m/c solenoid. I have had other trucks and cars with computers and as far as i am concerned ? they are nothing but junk and the manufactures know this and they are just ripping the american people off, they and the government make you buy their garbage and then charge you an arm and a leg for the part/parts that you need to make it run. I will never buy another vech. that has to have a computer to make it run, give me an old school any day,they are cheaper to fix and i can make it last longer and run better then any vech. manufactured in the past 35 years. My wife and I purchased a new 2012 GMC Acadia about a year and a half ago and have had nothing but problems with it. The radio went out, the seats untucked but the biggest problem is that at speeds between 48 and 65 and over the vehicle lurches and the tachometer jumps up and down. At times it feels like the vehicle is going to stall. From a dead stop, while attempting to accelerate, the vehicle has almost stalled several times. The fluctuation in the engine makes my wife and I car sick. I have taken the vehicle in several times for this problem and was told that because of the year of the vehicle and the temperature in Az, this was normal and there is no fix for it. My wife drives the vehicle for her job and I find that unacceptable for a new vehicle. I and my family have purchased at least 12 GM vehicles and because of this vehicle, I doubt I will ever purchase another GM product. Looking for some help PLEASE!!! I have ordered a 2014 GMC SLT 1500 SIERRA 4X4 (1st week in July and its now the end of August, still no truck or notice of delivery. My point, my neighbor ordered a new Ford F-150 and had it in his possession in 22 days. To add insult, Ford sent him the VIN # of his truck right after they received the order, and provided the number to him plus a web site where he could track and watch his new truck being built throughout the entire build process. He told me about the website so I immediately went on line to GMC to see if I could see my truck being built, no such luck, GMC does not have the manufacturing plant equipped or laid out to where you can see your truck being built. Come on GMC! Get with the program and consider what advantage you would experience with your customer relations if you had this capability. Ford has the lead with this initiative, when will GMC wake up and smell the roses? The ignition switch on my 2004 Ion was replaced in 2009. A recall was issued this year that includes the replacement switches. I had the replacement switch replaced April 2014. I submitted the original paperwork THAT SHOWED THAT THE WORK WAS PAID BY CREDIT CARD, and the GM form. GM is trying to beat me out of paying for the first repair because I don't have a copy of the credit card payment from over 5 years ago. This, in spite of the fact that the Service Invoice shows the work was paid for by credit card. A receipt would not prove anything because all it would show is the total amount paid--it would not be itemized showing what was done, and I had other work done at the same time. By the way, the replaced replacement is still causing a problem. Should I need an attorney, I have documentation of every phone call, etc. I bought a 2012 Acadia and two years later I wish I didn't purchase it. A month after purchase it began to leak oil, I took to my local dealership and was diagnosed as a factory defective seal. They had to drop the engine to fix it which made me feel like it wasn't a new vehicle anymore. Today I received my third recall notice so you can imagine my displeasure to once again have to take it back to the dealer on my valuable time to fix yet another GMC blunder. How many more recalls are in my future? I find it interesting that when I bought a big ticket television which was defective I was able to return it for a refund. I checked my lemon law options, they are non-existent. The law is written in such a way that is is impossible to use. Now I'm stuck with this vehicle that I will be making payments on for the next 2.5 years. I can't really even sell it because a car fax will disclose the recall repairs. Who in their right mind would consider purchasing this piece of crap. The recalls will also affect the trade-in value and not in my favor. All this negativity because GMC sold me a defective product. I have written the president in Detroit with no reply or acknowledgement. For the record, I'm from Detroit and my family worked in the auto industry back in the day when Detroit turned out quality vehicles. For the last 20 years, I leased Mitsubishi and Infiniti vehicles and never had a problem. I BOUGHT the Acadia to support the economy which resulted in my ongoing nightmare. I really would like some kind of acknowledgement or the ability to return the vehicle.. I don't believe I should be punished both financially and emotionally for a defective product. I can be reached at clbielec@yahoo.com. I will again attempt to contact Mr. Ammann with this situation. Hopefully I will receive some response. Thank for the opportunity to bring this situation to light. My name is Joe Perez I bought a 2009 chevy Traverse. This car has been a problem from day one. The story begins I had an H2 Hummer one of the best cars I ever leased. When my lease was up I went to Englewood Chevrolet. I asked if I could buy the Hummer out that's when they said it would be 47,000.00 dollars. At that time gas was thru the roof. That's when they showed me the Traverse. I bought it I wrote down the vin to the H2 just to see what would happen with the truck. The dealer sold it at auction for 17000.00 dollars I offered 30. Shortly after taking the Traverse I started having problems. Went back to the dealer in the first 14 month the engine was dropped 2 times do to a timing chain. I went to the sale rep all the sudden he wanted to do nothing with me contact corporate they didn't want to help. Well it's been 4 years they have dropped the engine 4 times,replaced the water pump, front struts need to be replaced,catalytic converter all three had to be done among other things. I was in the Marines for ten years. I wanted to support my country so I bought American chevy is aware of the service men and women that defend this great nation but they don't care. Bottom line I hope the military finds another car company to builds a truck that will bring our men and women in one piece.i have tried very hard to work with GM and they have treated me like dirt. Today 3 weeks after repairs that trash can they call a car broke down agai. It's in the dealer again. Mr CEO please look into my problems you are giving me 2000.00 dollars towards a new chevy when I am not done paying this one. Maybe I should by cars from other countries and support their economy so I can watch Moore Americans loose their jobs, homes . I will continue to write maybe I can let people now that not only does GM not care of the people they sell 2 but they also don't care a bout a Marine that defended this country. 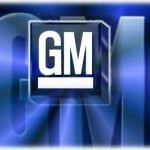 Please take a note that you are about to post a public review about General Motors corporate office on CorporateOffice.com. This review will be public, so please do not post any of your personal information on this website. If you would like to contact the corporate offices of General Motors, please use their contact information such as their phone number, website, and address listed above to contact them. However, sometimes staff from General Motors headquarters do read the reviews on this website.